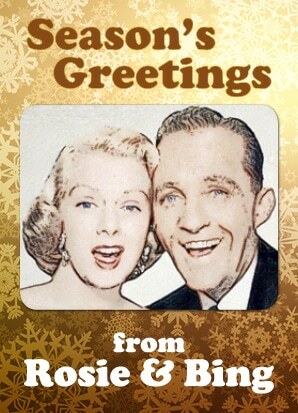 Rosemary Clooney and Bing Crosby were renowned performers whose respective careers spanned more than 60 years. Whether it was records, radio, television, concerts, or film, these superstars were always at the top of the list. Award-winning vocalists Ellen Winters and Johnny Rodgers reunite after their smash hit cabaret ELLA MEETS MEL, this time paying tribute to Rosie and Bing. Backed by Sam Steffke on piano, Steve Rindt on bass, and Jim Ryan on drums, you’ll be delighted by timeless duets including Life Is Just A Bowl Of Cherries, seasonal favorites like Winter Weather and Count Your Blessings, and many of Rosie and Bing’s signature songs. Added performance on Wednesday, December 12, 2018 at 8 PM.